Selina Todd delivered this year’s Caroline Benn Memorial lecture to over one hundred people in a House of Commons Committee Room on 11th November 2014. This was the fourteenth CBML and the topic was “The Golden Age of the Grammar School – Exploding the Myth”. 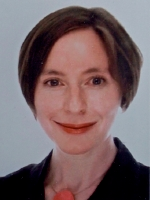 Selina Todd is a lecturer in Modern British History and a Fellow of St Hilda’s College Oxford. She has conducted detailed research into the impact of grammar schools on the education of working class children including large numbers of interviews with working class people on their experience of education and its impact on their lives. The lecture focused on two myths: (1) that grammar schools promote, or promoted, social mobility; (2) that social mobility is a civic or social benefit that a good education system should promote. Contrary to the first myth, Selina Todd presented the evidence that “It wasn’t grammar schools that assisted working-class people to get to university but the introduction of comprehensive school. She pointed out that, even though the evidence for this is overwhelming, the media and politicians (of all parties) encourage judgement by anecdotes about particular success stories even though the conclusions drawn from these anecdotes will not withstand the least examination based on well-established facts. The second thread of the lecture questioned the widespread assumption that social mobility is a desirable goal for education. On this Selina Todd argued that pursuing such a goal actually takes social inequality for granted and reinforces it. The lecture was extremely well received and it was agreed in the discussion that followed that Labour’s leaders needed to have the case made by Selina Todd drawn to their attention and that copies of the transcript of the lecture should be sent to Ed Miliband, Tristram Hunt and other Labour MPs involved with education.